I love when the sun is shining. Click here to hear Rick Sentieri playing his harp! 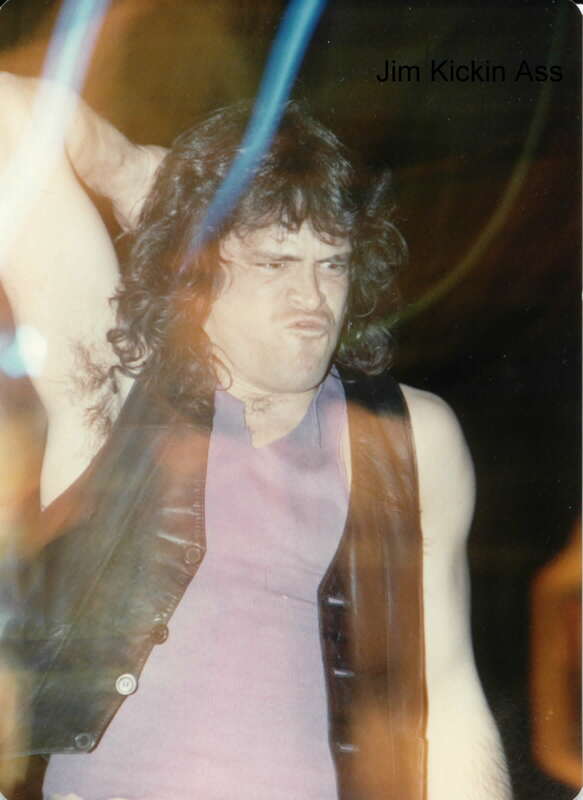 Photograph taken by Julie Smith "One of my favorite pictures of Rick!" Picture taken on 3/3/95 "The Last Of The Cavern Shows"
At this show the band had it's own barrel of beer and all the Rhodes friends got into the show for free. Rick was hitting so many very high notes, I thought the windows were going to shatter. During the song Stalker, I heard Billy Spears scream out, "Oh my god, what a voice!" People also were slamming into one another directly in front of the band. I joined in and participated with the moshers to get a better view of the bands performance only to be bounced out of the mosh pit. I recieved a sock in the nose and a kick in the behind. It was fun until a stage diver landed on me! After the band finished preforming, and after the Rhodes had tore down the stage, light show and loaded the equipment in the Pumpkin Van. The proprietor of the establishment requested if the band would do another set! Of course it was up to the Rhodes because the band was already inebriated and they had no say in the matter. The band did there whole set thinking it was the first time that they had played that night. The Rhodes made out like bandits receiving another barrel of beer and all the pizza they could carry away! This was the band 331 straight performance at the Cavern and I will never forget the crowd screaming! Article by HellCat beat writer for Les Fleur Sauvage.